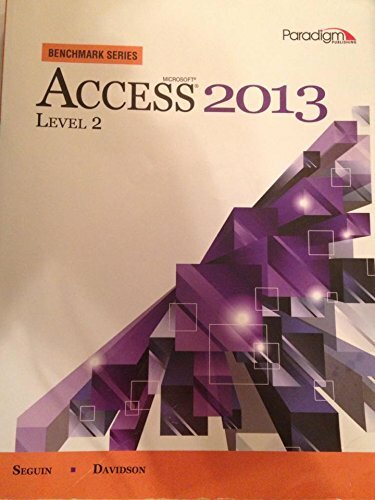 Benchmark Series: Microsoft Access 2013 Level 2 builds students' intermediate-to-advanced skills in Access 2013, and helps develop critical thinking and decision-making skills. Key Features Case study assessments of chapter and unit levels test students' abilities to solve problems independently. Projects-based approach creates a realistic context for learning practical skills.